This one-stop service center provides assistance with requests for certificates, registration, academic advising, validation matters, and more. For more information, please visit the Student Success Center page. The Office of the Registrar maintains accurate, timely, and secure information to support and enforce academic policy, registration, course information, grading, the production of degrees and official transcripts, and other related services. For more information, please visit the Registrar’s page. The Academic Advising office supports students with their academic goals and interests to design a multi-semester course of study. For more information, please visit the Academic Advising page. 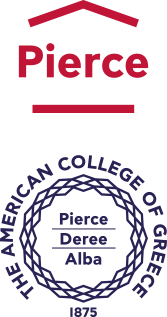 The Deree-OU Validation Office acts as the liaison between Deree – The American College of Greece and the Open University, UK. For more information, please visit the Validation Office page.